Do you enjoy the TV show Supernatural? If the answer to that question is yes (and I can’t fathom a world where the answer is no) then do yourself a favor and get yourself a copy of Black Dog by Caitlin Kittredge. While it doesn’t feature the Winchester boys it does have Hell Hounds, Evil Angels, Demons, Necromancers, and Zombies. It was a veritable Supernatural smorgasbord! Ava is a Hell Hound tethered to her reaper…Gary. I know the name Gary doesn’t strike fear in to anyone’s heart but Ava’s fear of him is real. When a chance comes to ally herself with Russian mobster Leonid Karpov and kill her reaper she jumps on it. But killing her reaper is only the first of many problems facing Ava and Leonid. The first of which is to find Clint Hicks the man Gary was never able to collect. Ava at times made herself hard to like. She was either a complete badass or a crying mess. Luckily, the crying mess was far less frequent then the complete badass so overall I liked her. I felt her actions made sense given her past and the un-tethered feeling she was experiencing after severing her connection to her reaper. Leonid or Leo as I preferred to call him (because Leonid doesn’t sound cute at all) was an intriguing addition to the story. I liked how this human pushed Ava to leave her reaper and to go on a hunt for Clint. I think the two of them balanced each other well. I also really enjoyed the world building in this novel. Kittredge set up the plot brilliantly for the rest of the series. There is a lot of material in this world and I can foresee any number of outcomes for Ava and Leo. 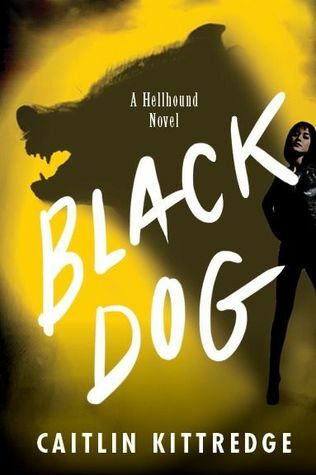 Overall, Black Dog was the book I wanted to read the instant I started reading it. Much like an episode of Supernatural I was hooked until the credits started rolling and then I immediately wanted more. I will definitely be reading the next book in this new Urban Fantasy series.